Driving down a sunlit road along Gibraltar’s east coast, a tourist stops by one of the city’s top attractions – St Michael’s Cave – and consults his travel guide. Soon he won’t need a book to learn more about this tiny British overseas territory in the Mediterranean, just south of Spain. Following the lead of the UK town of Monmouth, Gibraltar is aiming to spill the content of the online encyclopaedia Wikipedia into the real world. To do this, it is equipping Gibraltar’s tourist attractions with QR codes – “quick response” barcodes that can be scanned with a mobile phone. These black-and-white pixelated images have been around for more than two decades but have started to gain mainstream acceptance only in the past few years, appearing on everything from walls and billboards to newspapers and detergent packs. As well as other technologies such as near-field communication tags (NFC) and augmented reality (AR) apps, they give mobile phone users information about a particular object. QR codes store text, phone numbers, email addresses and calendar events, and once scanned, create links to websites or generate some interactive content on your smartphone’s screen. 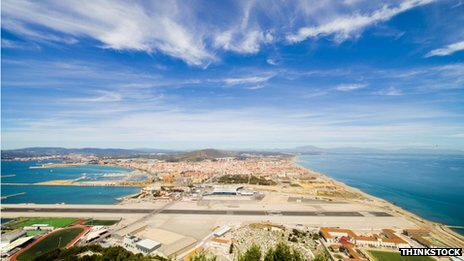 Tourism is a big part of Gibraltar’s economy, with more than 11 million visitors spending £280m last year, and the authorities are keen to seize any opportunity to increase revenue. The QR codes take users directly to a Wikipedia page of the relevant tourist attraction, says Clive Finlayson of the Gibraltar Museum. “Gibraltar is a multi-layered cake of historical events, starting with the Neanderthals of 50,000 years ago through to modern humans,” he says. Continue reading the main storyWhat are QR codes’ chances? QR codes have been around for years, but only 11% of UK smartphone users scanned one in July 2012, according to data agency Comscore. 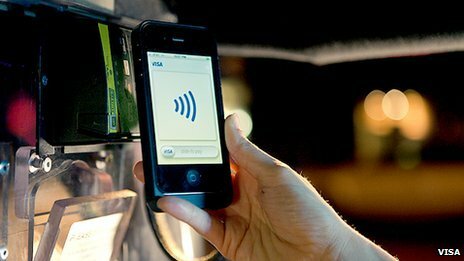 Some analysts have been saying that other technologies such as NFC, which lets you get information wirelessly just by waving your phone in front of the chip, may eventually replace QR. But QR supporters argue that NFC is not quite there yet – it is expensive to create tags, and for now, not many phones can scan them. QR codes are free to create, cheap to install and nearly all modern smartphones have apps that can read them. Augmented reality apps are also a potential threat – they allow information to appear on your handset’s screen simply by pointing the phone towards an object of interest. Google Glass headset could even take this one step further, and make information appear right in front of the user’s eyes. But QR is far from being dead – and recent moves by the electronic giants Apple and Microsoft could give it a push. The technology will be integrated into Apple’s Passbook ticket/coupon wallet service, available on the forthcoming iOS6 operating system. It will allow users to get into a cinema, check in for a flight, or redeem a coupon via their phone. Microsoft has recently signed a licensing agreement with NeoMedia, one of the pioneers in the mobile barcodes field, to acquire all of the firm’s QR code patents. “Our own caving unit has now catalogued over 200 caves in Rock, with many being rich in archaeology but inaccessible to most people. “Gibraltarpedia” organisers want their QR codes to communicate with the user’s phone to determine its set-up language, so a Brazilian tourist can be taken to a page in Portuguese, a Turk to one in Turkish and so on, says Roger Bamkin a volunteer from Wikimedia UK, the charity that supports online encyclopaedia. 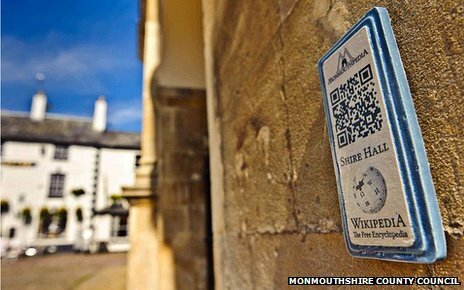 “By scanning QR codes around them, tourists will be to able to find out about the place they are visiting in their own language, with the description written by a volunteer speaking that language,” he says. Volunteers have been producing up to 20 articles a day in various languages, and Mr Bamkin has been in Gibraltar this week seeking more people to contribute photos, maps and information on the territory’s history. But once all the landmarks are equipped with codes and all the articles are written, other factors need to be dealt with for the project to take off. Roaming charges may deter visitors from connecting to the web – and the government of Gibraltar says it is considering the possibility of free wi-fi. Also, tourists should be familiar with QR codes and be willing to use them. Although people may be used to seeing them, not many in the Western world actually scan them. On the other hand, in Japan and South Korea many use them on a daily basis. Tesco Korea lets consumers shop in a virtual supermarket while standing on a subway platform. They scan images of groceries with a QR code reader and buy them with a click. But Gibraltarpedia organisers say that they realise QR codes may be replaced by other technology – just as DVDs replaced CDs, says Mr Bamkin. However, he believes that the project will be a success – and be it QR, NFC or any other future tech, Wikipedia is aiming to bridge online and offline worlds. “Projects like Gibraltarpedia are a test of our mission,” says Mr Bamkin, adding that the next target is expansion into northern Africa.